At 4pm, when I should be in the school run, I’m actually gluing the beak back on a tiny penguin. Having already stuck the belly back on a humpback whale, and the ears on a panda. It’s a long story. 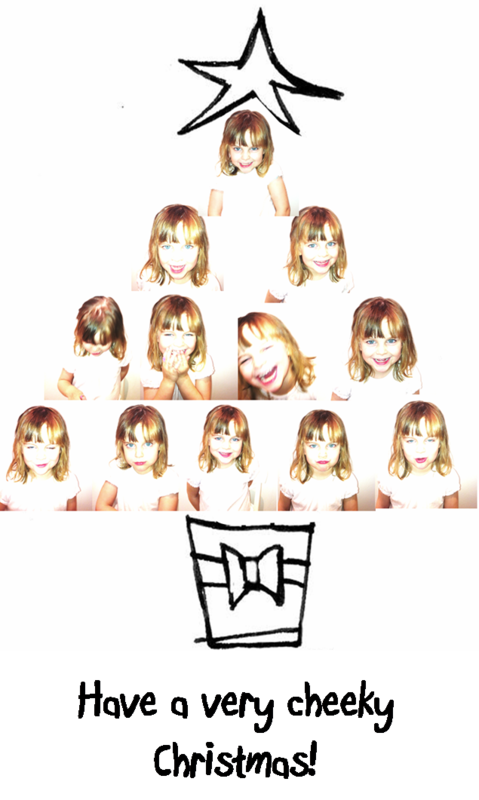 In the countdown to Christmas, Lucie’s 4th Birthday, and half her other pals’ too, I need presents! MORE PRESENTS! I also need treat bags. A tradition I only recently learned about, along with other mysteries like school holidays, teacher’s gifts and so on, I am assembling Lucie’s birthday treat bags for her class-mates tomorrow, and after calling the pre-school I’m faced with the hard fact that I need TWEN-TY-ONE!!!!! So each bag has a balloon, a Chuppa-chup, a Kinder chocolate, a whistle and I found these cute little rubber animals (they’re actually Japanese designed collectible erasers). But realising I would come up way short, I bought a five-pack of cheaper imitations that looked exactly the same…until you open the packet and they tumble out in pieces. What would I do without superglue? Then there are the afore mentioned take-to-school birthday treat bags to assemble, another twelve on-the-day-birthday party bags (where I went way overboard), gifts for our elderly ex-neighbors, a total of six kid's birthday parties to shop for and attend.. then there was Lucie's first ever birthday party. And this is all outside of the normal run-of-the-mill Christmas shopping which I haven't started. I realised that I was getting a bit gift-obsessive when I started looking for ideas for the council guys who collect our garbage... I know they do a fab job and they're always very forgiving when I wave them down because we've forgotten to put out all the bins. But what did I think I was going to do? - stand on the curb at 5am wearing PJ's and a Santa hat with an arm full of parcels? Hey, it's the thought that counts, right? And how's this for recycling? 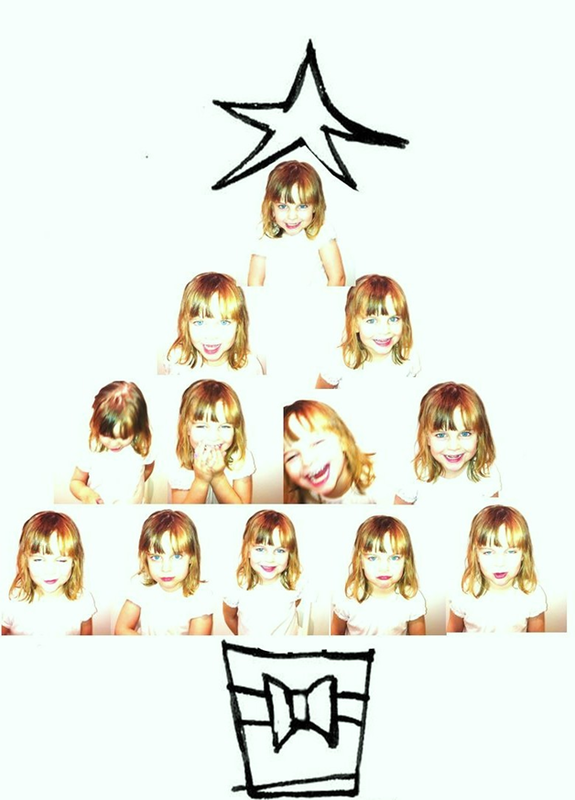 12 failed attempts at a passport photo became this years christmas card! I've been trying to write and publish here on the rodeo once a week (gearing up to find a paid gig in the New year) and if you noticed I was doing pretty well, but Christmas has taken it's toll on the online story telling biz. I've had nine Pre-school teachers to buy gifts for, 21 post-birthday treat bags to assemble, six kid's birthday parties to shop for and attend.. then there was Lucie's first ever birthday party - oh my god – a dozen under-four's and their younger siblings, bouncing off the walls on a wild sugar-fuelled ride .. In the aftermath it was as if several toy bombs had exploded all over the house and the garden; plastic shrapnel everywhere. Gotta shoot - we're off to India just after New Year and I have a huge list of things to get through before then: More sheet changing for our house/ puppy sitters, a month's supply of doggy dinners to weigh up, empty the guest wardrobes which have mysteriously filled up with random junk, the air-con unit has it’s guts hanging out in the hall while I clean the filter, and washing, washing and more washing.. Any way I wont bore you with my domestic drudgery – but when a dear friend, who is living the Hollywood expat-lifestyle in Qatar, sent me a slide show of pictures from her year by way of a catch-up, after I closed my mouth and wiped away the drool I thought ‘no one would like to see a slide show of my past year’. ..